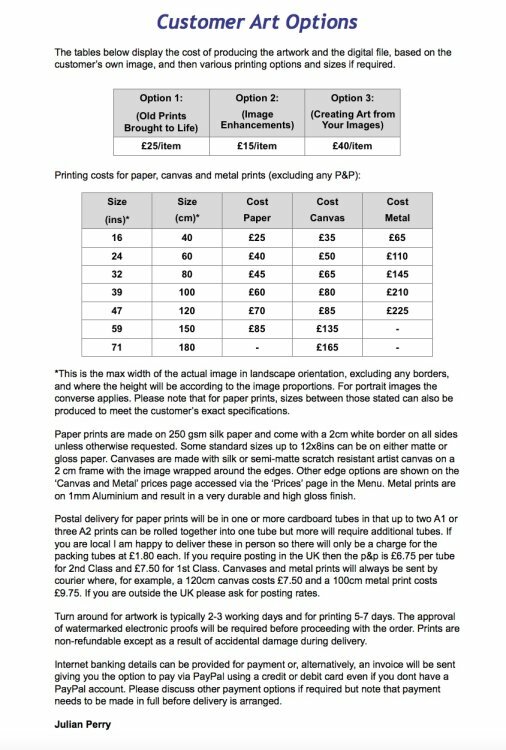 The chart below lists the prices for the three different options for working on customer's images followed by the optional printing costs on paper, canvas and metal. The prices for smaller prints suitable for 'table top' frames are available here. If you would like to proceed then please email me directly at sales@jp-digitalart.com, or use the 'Contact me' option in the menu, stating which option you are interested in. I will then email you back to gather more specific information.